The MTS whey protein is very rarely discounted and this is a great opportunity to try what many say is the best tasting protein around. For example – The price for the MTS Nutrition whey (5LB) drops from $54.99 to $41.99 in cart. Available in Peanut Butter Cookies & Creamflavor. 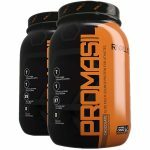 Probably the best tasting Isolate protein out there! The flavor on this protein is sick! 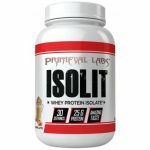 ISOLIT Protein – Contains 25 g Of Protein Isolate.